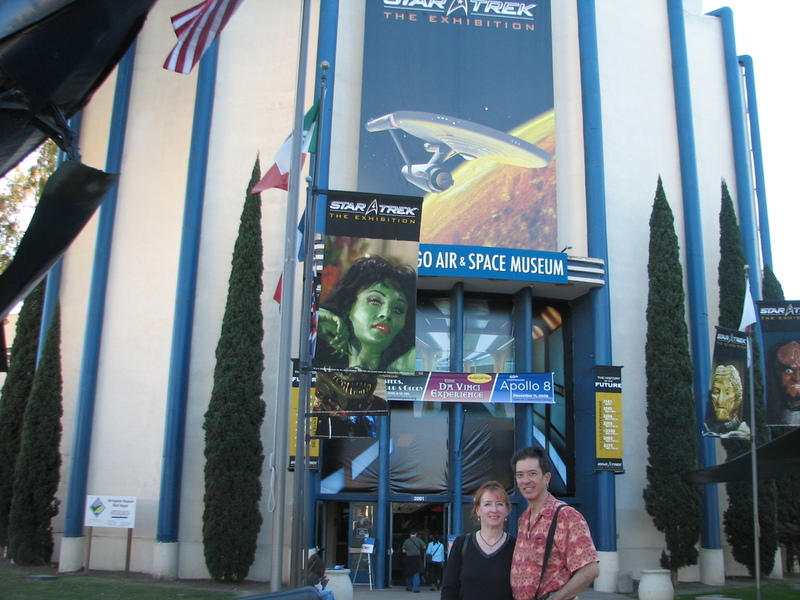 This weekend, Susan and I went to San Diego to see “Star Trek: The Exhibition” at the San Diego Air and Space Museum. 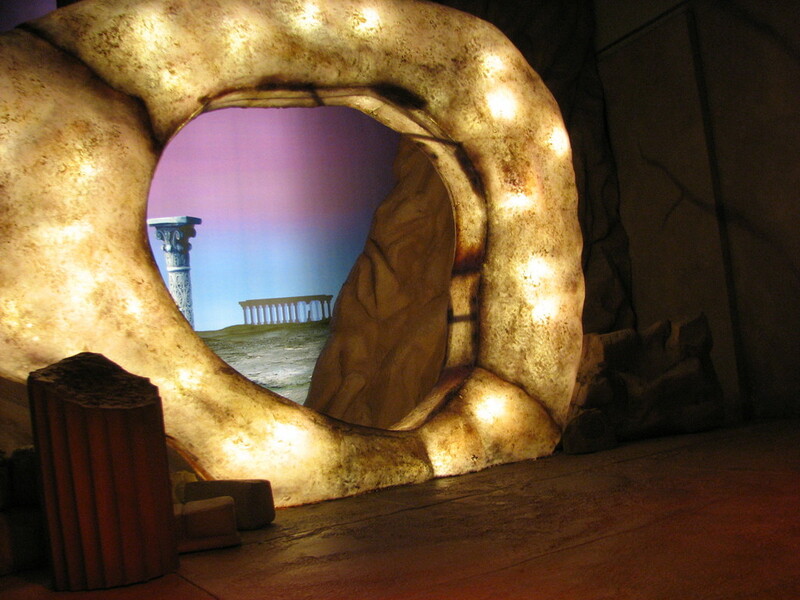 This was a show of costumes, models and props from the “Star Trek” TV shows and movies. 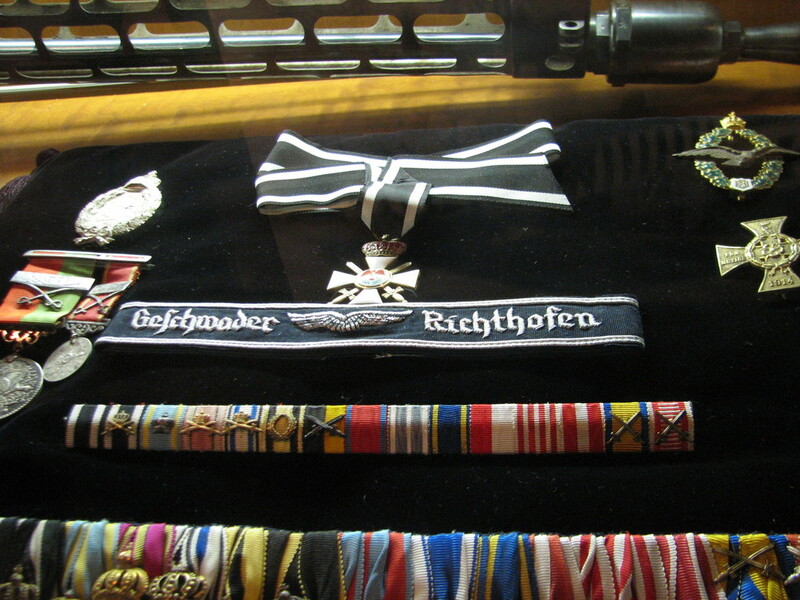 A lot of the artifacts from the original series are lost, but they had a lot of things from the more recent shows. 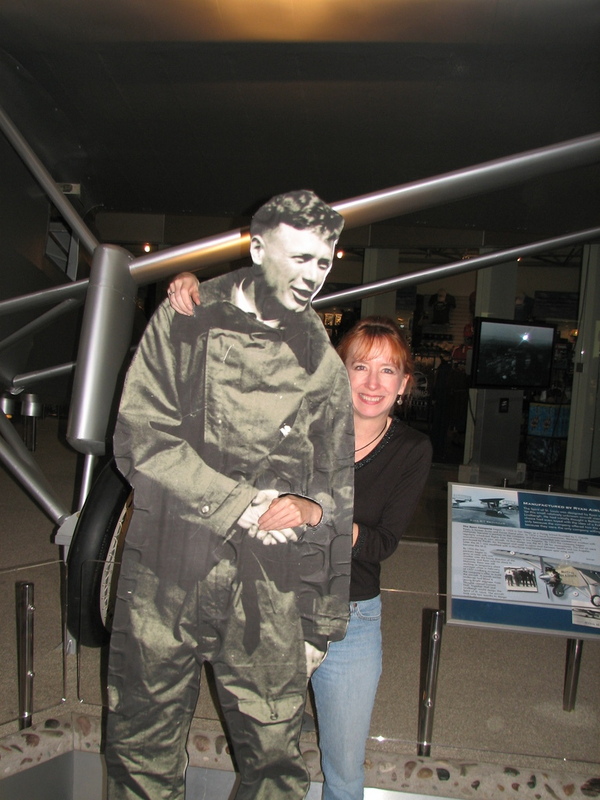 On the way in, Susan had to stop for a photo-op with the life-sized standup of Charles Lindbergh that was in front of The Spirit of St. Louis. Inside the exhibit, they insisted on no photography, so we don’t have pictures of us on the bridge of the Enterprise or in the transporter. I did sneak one picture of the Guardian of Forever from “The City of the Edge of Forever”. Still, it was a fun time. We also wandered around the rest of the museum. 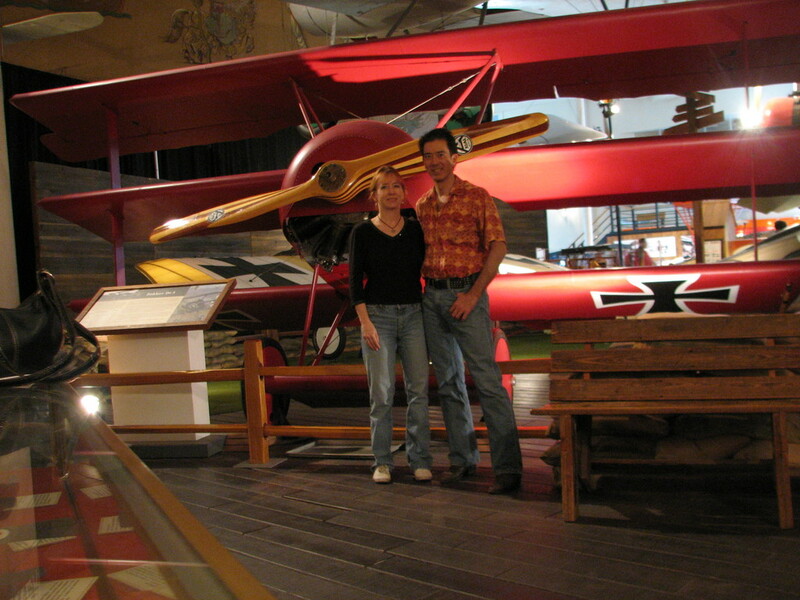 We saw a reproduction of the Red Baron’s airplane, as well as his collection of medals from the war. 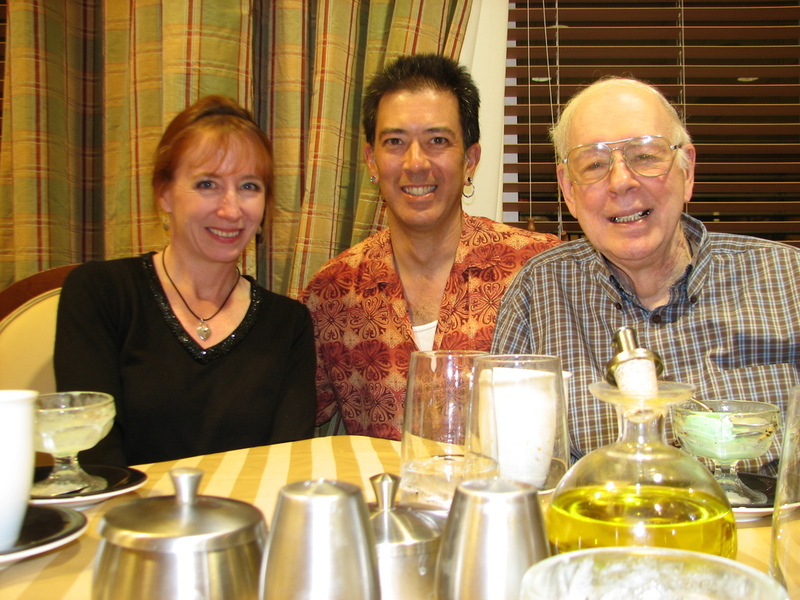 Afterward, we went to visit with my father for dinner at his place. It’s great to be geeky! The highlight of my weekend was going to the Battlestar Galactica props, costumes, etc. auction preview in Pasadena. I got a kick out of seeing things close up.